Report 'Hostel Management Development Update - 30 September 2016'? HostelManagement.com has undergone major changes this year. The development did not stop when the site relaunched with a new design though. We have been hard at work making constant improvements and upgrades to make the site as useful and beneficial for the hostel community as possible. Periodically I will post updates about the development that is taking place so that everyone will know about the improvements that are still happening. These improvements have been possible because of members like you who have purchased subscriptions to financially support the site and our growing community of hostel professionals. It takes an astonishing amount of money to keep the site running and to make even small changes. With this income, we have been able to launch projects that have been sitting in the pipeline for years. With our most heartfelt gratitude, THANK YOU to everyone who has contributed to this development! Advanced Search Improved - We have greatly improved the advanced search interface so you can quickly and easily find the information you need. Now you can restrict your search results by section of the site and specify words and phrases to include any words to exclude. We hope to continue making the search functions better and better. Users can now help us by reporting inappropriate posts - We all know spammers, scammers, and trolls sometimes crash a Hostel Management discussion and make things awful for everyone all around. Now any user can report these bad apples to our Support Team with just a click. There is now a Report link to the right of each comment. Please help us keep Hostel Management productive and friendly by reporting user posts and comments that do not follow the community guidelines. Members can now automatically link their profile to a hostel listing when adding or updating the listing. - In the past, it was necessary to add a hostel listing before you could link your profile to it. Now you can do this in one step. Members can link their profile to any hostel in the database and indicate their present or past position at the hostel. This position will automatically be added to the experience section on your profile. Hostels will now be notified when members link their profile to the hostel – Each member of the site can link their profile to a hostel’s listing in the OurHostels database to indicate where they work or where they have worked in the past. Hostels and verified owners/managers will receive an email notification when other members link their profile to the hostel. Members can link their profile and claim any present or past position and when they do, the hostel will be notified about it. If your hostel isn’t already listed in the OurHostels Database, you can add it here. 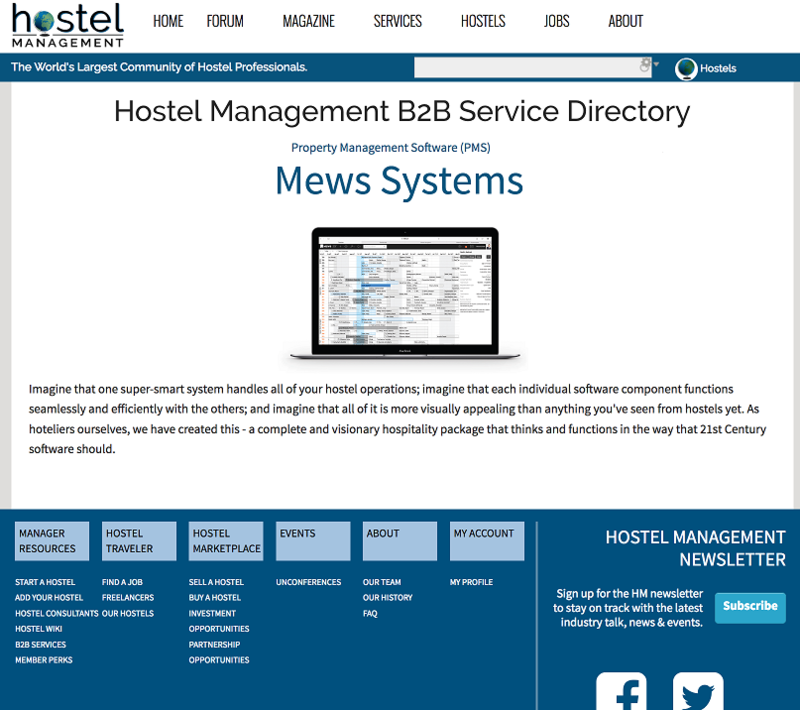 Hostel Management B2B Service Directory - We have expanded our B2B pages so subscribing companies can more fully demonstrate the features and benefits of their product with rich text and images. We also added a category link so that hostel operators can compare all companies providing a similar product/service to each other. At the moment, most companies still have their previous product information listed, but we will soon reach out to them to see if they want to migrate their listing to the new and improved format. HostelJobs Workers can see the creation date and last-updated date on job posts - We've heard from several HostelJobs workers who wanted to know if a job post on HostelJobs is still valid. We agree this can be tricky. Some hostels purposely leave their job post live all year round because they are always looking for staff. For other hostels, the opportunity might have a limited time frame but they don't remember to remove the post. Now workers can see when the job post was created and also when it was last updated. Job posts are sorted by last update date. Later we will be adding email reminders for hostels to encourage them to mark the opportunity as close when the job is no longer available. HostelJobs Email Formatting – When a hostel job seeker sends a message to a hostel manager or owner through the website an email notification is sent to that user. We received reports that the emails were confusing, looking as though the candidate was actually working for HostelManagement.com. We have improved the formatting of the emails to ensure that it is clear that they are coming from HostelJobs with information about a potential worker. 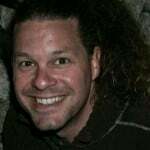 HostelJobs profile images improved – HostelJobs worker profiles now support high resolution images. We received feedback that worker photos were appearing “fuzzy” on the site. We have found the cause and fixed the problem. Old photos may still look fuzzy, and they should be re-uploaded for the change to take effect. If you are looking for hostel work and you don’t already have a photo uploaded, this is the perfect time to add one. Profiles with photos attract a lot more attention and have a higher probability of resulting in hostel work, so make sure your message gets noticed! HostelJobs profiles now require location – New HostelJobs worker profiles will be required to fill out the “Where are you currently located” field. This will help hostels to receive the highest quality candidates from their job listings by showing potential workers who are already nearby.